In the mood to cook fresh seafood at home? 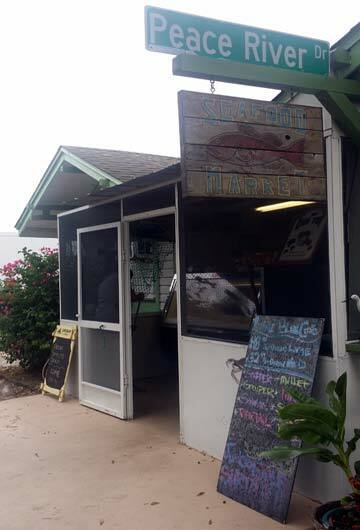 Why not stop by for lunch or dinner and then head over to our market and grab some fresh clams, shrimp, crabs, and whatever else floats your boat to cook up at home. Our seafood market features the same, just-caught, fresh seafood we serve in our restaurant. Because our seafood is freshly caught, what we have to offer - and how much - can change from day to day, week to week, and especially season to season. Stop by or give us a call for the latest catch selections. Stop by and take a look at our newly constructed area for "you choose them" live crab selections.